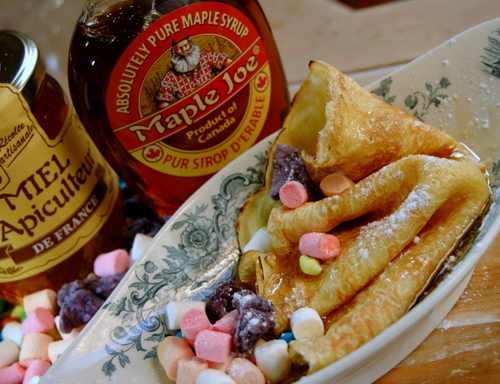 A classic crêpe recipe and feasting the Mardi Gras way. Today is Mardi gras. 16 Fevrier. 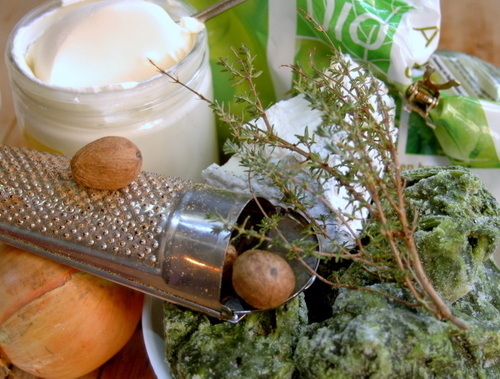 According to Catholic tradition, it is the last day of indulging in the “fat of the land” before taking on the fasting of the 40 days to Pacques(Easter). It is celebrated by crazy feasting, carnivals…so, in the fun spirit of Mardi gras…let’s feast and carnival today, for tomorrow the world ends! And the way to do it…crêpes of course. Every which way you want it. Stacked, rolled, folded in parcels, folded in triangles, aumoniéres, flambéed, caked, salty, sweet, natural…you name it. 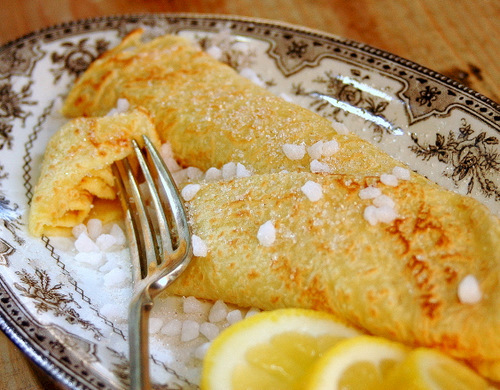 My husband’s favourite crêpe is sprinkled with softly flavoured cinnamon sugar, drizzled with lemon juice and rolled. He folds it double and whops it into his mouth, crunching on the still crackling sugar, while he starts sprinkling and rolling the next one. We have a good friend who spreads his crêpe with butter, sprinkles liberally with sugar, folds it into a little parcel to entrap the butter and there you go…warm, melted butter and sugar…. every bite. Then there are those individuals more deliberate. I am one. Open up the crêpe on a plate, very warm, spread a loaded knife with nutella over one half, fold over and then again to form a triangle, pick it up ever so dainty with your hands and then with closed eyes, dig those teeth into the crêpe, all the while feeling the warm chocolate trickling down your fingers. Pure heaven. I always use 2 eggs for 1 cup of flour and 1 cup of water and 20g of butter. It makes it easy to multiply for big batches of crêpes. I use water instead of milk for lighter crêpes, that way I can eat one extra! The baking soda adds to a ligher crêpe. Leave the batter to stand and “develop” a while…like a good relationship. Don’t keep the crêpes warm over hot water or on astove, it dries out with heat. Keep the crêpes close by your baking process and turn the stack often to keep warm. If necessary they can be quickly reheated in small batches if too cold. Don’t sprinkle with sugar just after baking, unless you want syrupy crêpes. Sprinkle with lemon juice and sugar individually when eating for crunch. DO make some oopsedaisies…and enjoy them while baking!! 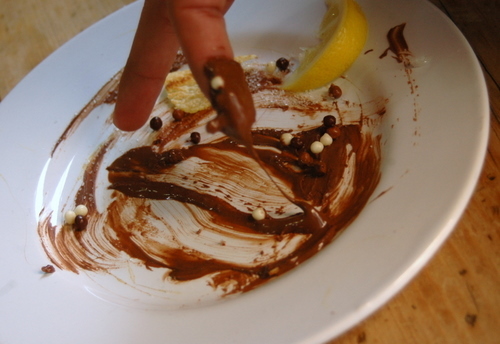 When using Nutella, warm a little in the microwave to soften for easier spreading. 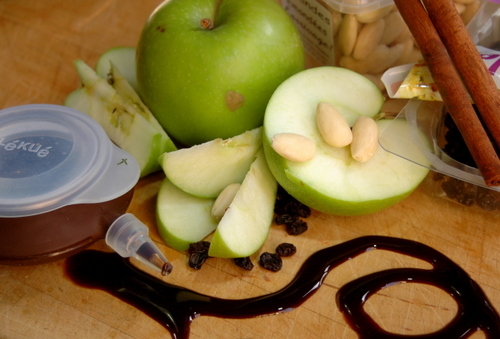 Or how about some caramelized fruit – crêpe Suzette with flambéed oranges; apples and currants with a hint of cinnamon, lemon juice and oven roasted almonds, drizzled with a trickle of thick balsamic syrup, red berries with créme frâiche; tropical caramelized mango with passionfruit; banana with caramel sauce and fleur de sel… endless possibilities! 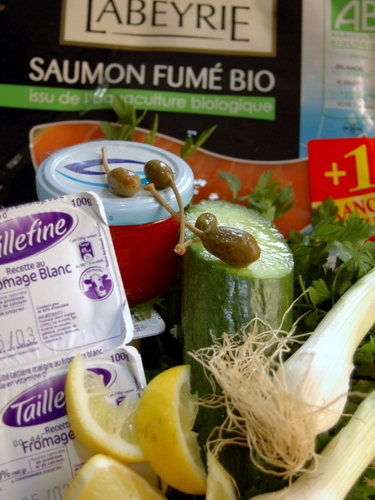 Don’t forget the salty fillings; smoked salmon, drizzled with lemon juice and mixed with capers and some chopped spring onions or chioves, parsley or dill, and served with a greek tzatziki made from fromage blanc, lemon juice and cucumber and finshed off with a sprinkling of lump eggs. 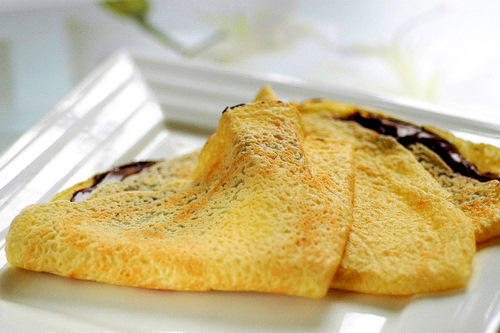 But crépes are not only about the filling and eating. On days like Mardi gras, when the world is a little crazy, baking crêpes should be a little crazy too. A little flopping and flipping, whirling and twirling and of course, countless oopsedaisies!! And so, as this day ends… and our tummies call to a halt… and the craziness turns to mellowness… only one thing remains…..
To remove a rust stain…rub the stain with the pulp of a lemon and iron afterwards with a hot iron. Previous Article Coconut and passionfruit cake and little details. Next Article Crystallized orange strips and mothers and daughters. A perfect post for today and I’m tucking your recipe away! Had a chuckle on the fun ‘flopping & flipping’ … years ago I taught a cooking class to grade school children. 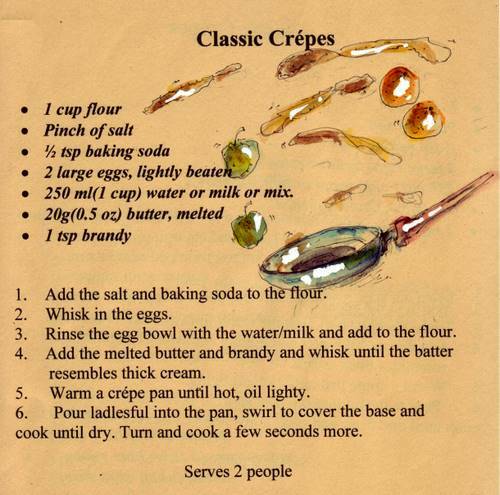 On crepe day, like Julia Child, I let the children flip & flop the crepes all over the kitchen … a good laugh and the kids had a ball. Yes, food should be fun 🙂 Happy ‘light and healthy’ Lent (out tonight for Shroud/Fat Tuesday)! 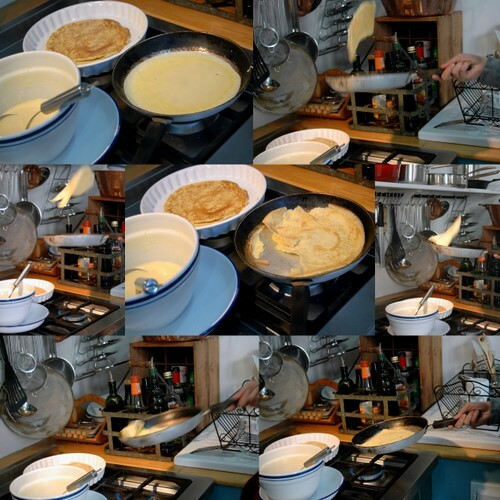 Oh wow…..crépes for us tomorrow after looking at all these wonderful photographs! YUM! and I love the photographs. It all seems so clear, easy, and most importantly FUN! Thanks so much. House full of family and friends this weekend for my grandson’s third birthday. Dare I give it a try for this?? Love everything, and oh, did a post on mushrooms and they reminded me of YOU! Perhaps I’ll make crepes at the weekend, when The Man is home. Only you can change pancake baking into an art form….Wow. 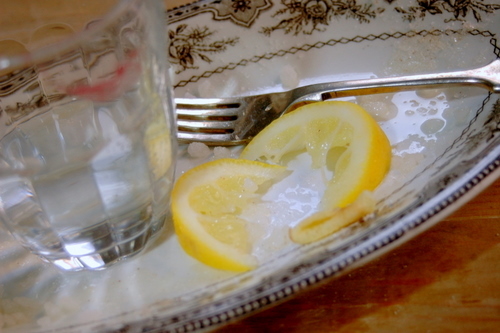 I must say though that I’m with your husband……simple with sugar and lemon juice…. 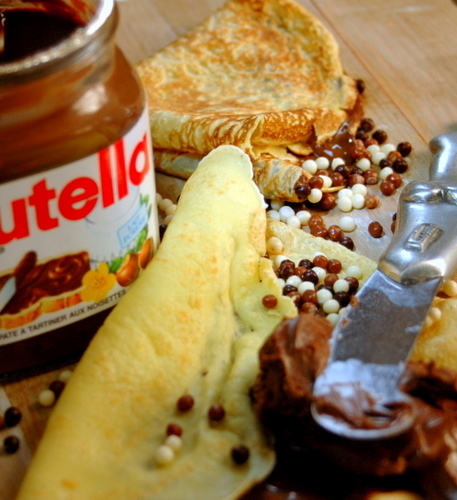 My son however will kill for a Nutella Pancake……..
What a lovely & beautiful crêpes post this is!! I love crêpes. We call them pancakes but that was before I knew that there were thicker American pancakes!! Yum. So many different ways to create crepes. Another terrific post! thanks for dropping by everybody and leaving such nice comments…I really appreciate every visit! You’re right. Crepes would be perfect for Marti Gras. Yours are gorgeous, especially the one with the Nutella. of course I have given up ice cream and alcohol for lent so sadly I am going to have to wait to try these…….I want them with the Brandy! Beautiful, just beautiful! No resting of the batter? I LIKE this recipe! We have a favorite creperie here where we go when we want a light meal. My favorite is a ‘sarrazin’ crepe (buckwheat) with ham, goat cheese and honey. YUM! These crêpes look very light. I love them with chocolate sauce. I can’t get enough. Ues crepes would have neen perfect. Hope you had a wonderful Pancake Day, Shrove Tuesday, Fat Tuesday, Fastnacht Day or Fausnaught Day!!!! Hi, I just wanted to suggest that you replace “whisk in the eggs” with just “whisk the eggs.” The way you phrased it made me think that I was supposed to crack the eggs right into the flour and whisk them into the flour mix, which made them a little lumpy. Thanks!